Howdy! Welcome to the Let’s Fly Blop Hop! You probably just visited Dawn Rae Concery inspirational blog, and I am the next stop on today’s hop. Welcome! If you have only just found the hop, pop over to Pattern Addict blog where you can get started and join in the fun! 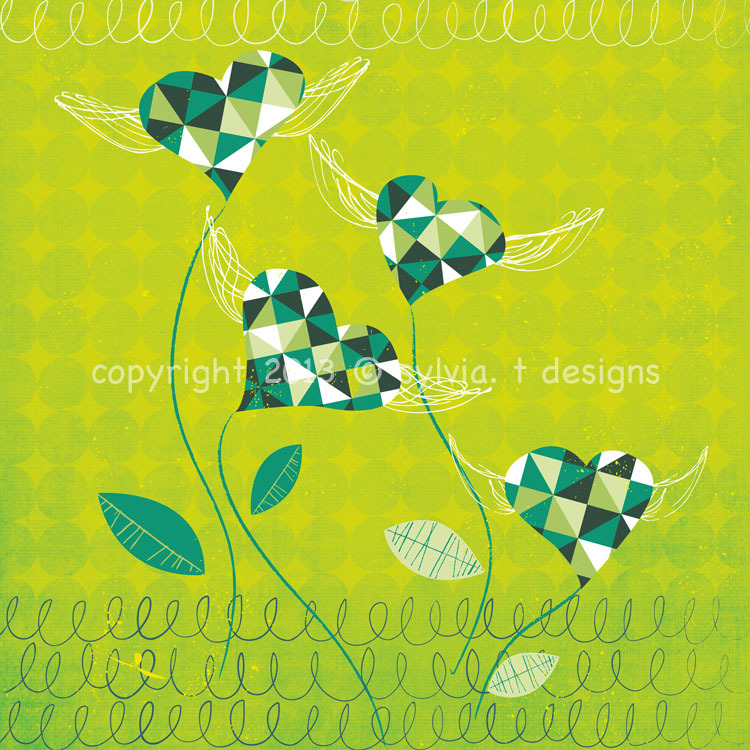 About 50 over designers from all over the world is participating in today’s hop and we are all very excited to show you our interpretation of Pantone’s 2013 colour of the year ~ Emerald, through our creative use of patterns. Thank you for visiting, I hope you like what you have seen. Would love to read your comments if you have any. A big thank you to Rosie Martinez-Dekker for organising this awesome blog hop, and also to MaJo BV for her beautiful logo design! Beautiful work Sylvia and such lovely fresh colours. Thanks for sharing. Well your designs always tick all the boxes for my personal taste Sylvia – loving splash of pink in there too ; ) – wishing you great success for 2013! Beautiful and elegant as always Sylvia! Butterflies is a perfect theme for you. Beautiful patterns! Love the dark background in combination with the pattern on the 2nd one. Your designs are so playful and uplifting Sylvia! They make me feel like I have so much energy! Love your colour palette so much! Love that harlequin pattern you snuck in.And lovely textures. gorgeous as usual! hard to pick a favorite but I’ll go with the top pink one…wish i had tried pink with my designs now! Wow beautiful art board, your inspiration comes through in your design. FAB! Loving your work Sylvia. The little, what I like to call…kite tails really made me smile. Can really see how the mood board has inspired your designs which are fab. Love the pink against the emerald. Wonderful! Of course I have a comment: P R E C I O U S. I am an admirer of your gracious style and this take on the Fly theme did you justice. Playful, authentic, creative and fun. All together? YES. Congrats, dear! FABULOUS designs!! Love that watermelon-y background color with the green! All are gorgeous! Like Bethania said : Playful and fun! You are truly gifted!!! I love your work Sylvia! Hi Sylvia, fantastic work love the moodboard and the end result, my favorite the butterfiles with pink! just georgeous. Thanks for participating and for the credit. I really appreciate it! Sylvia, those butterflies, please… I want them now!!! Gorgeous designs and amazing colur palette! These are so lovely. Just all of them! 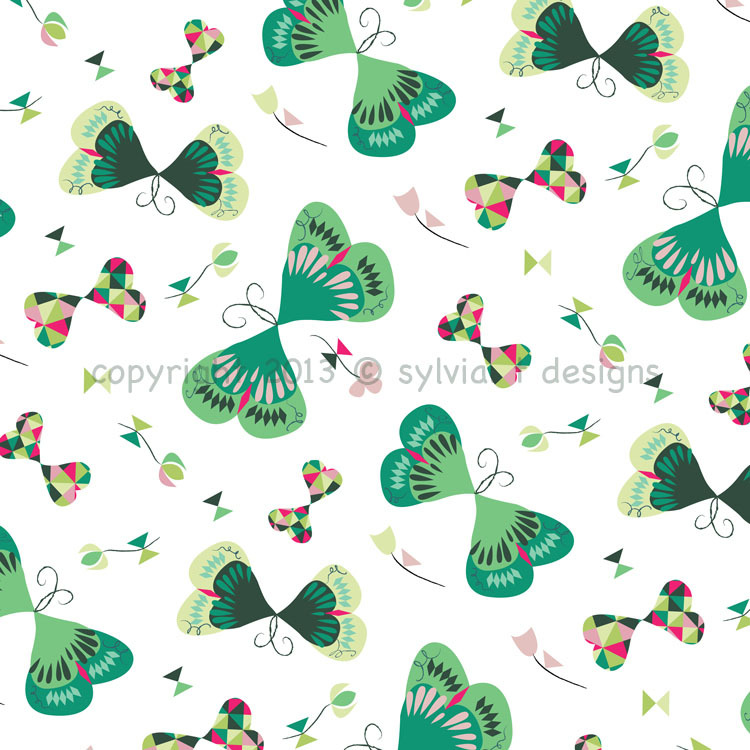 I am especially in love with these little triangled butterflies within the main pattern. Great colour palette, too. Fab work! Beautiful and unexpected colour combinations Sylvia. Lovely! Your patterns are so gorgeous. 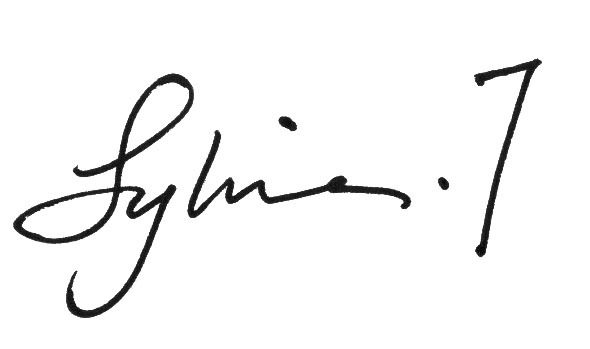 Sylvia, i love your style! 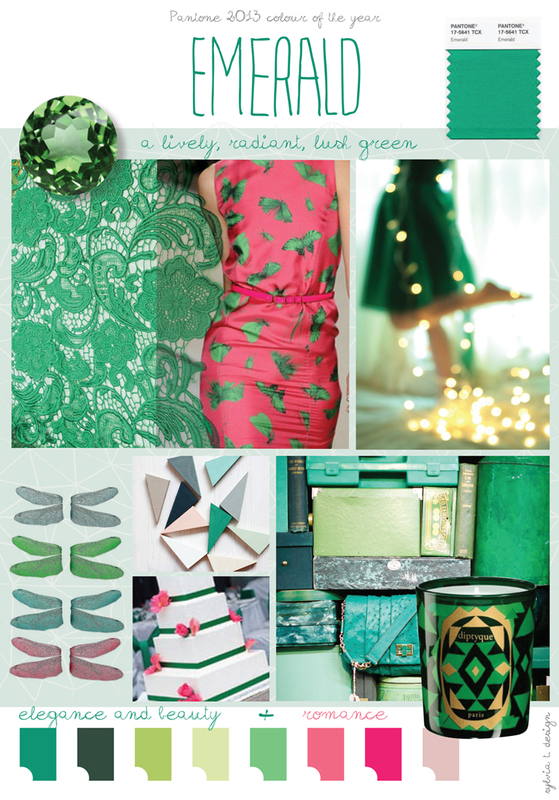 Really love your inspiration/mood board too, and the emerald/pink colour combo-beautiful! Love that moodboard and I love love love those butterflies!!! 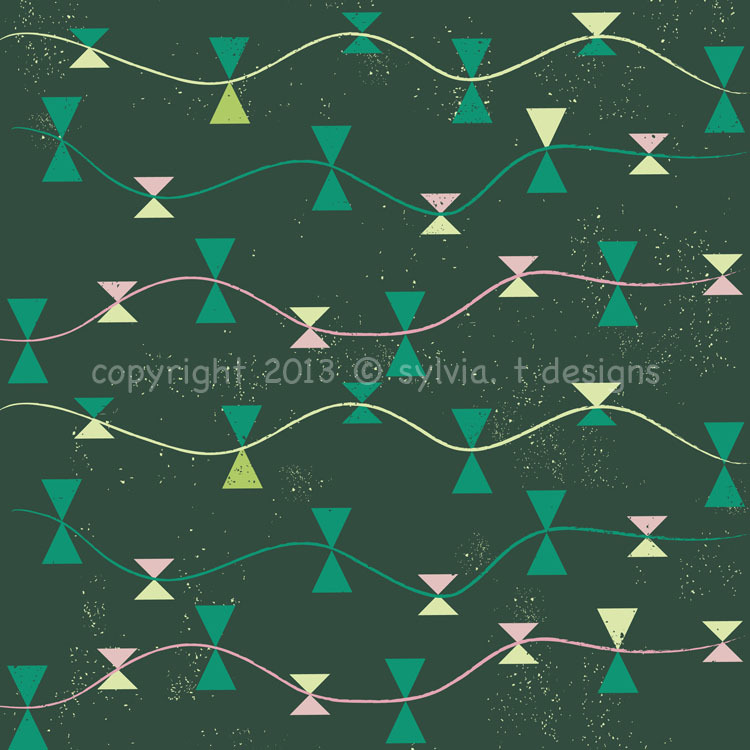 Sylvia, your designs are fun and fabulous! 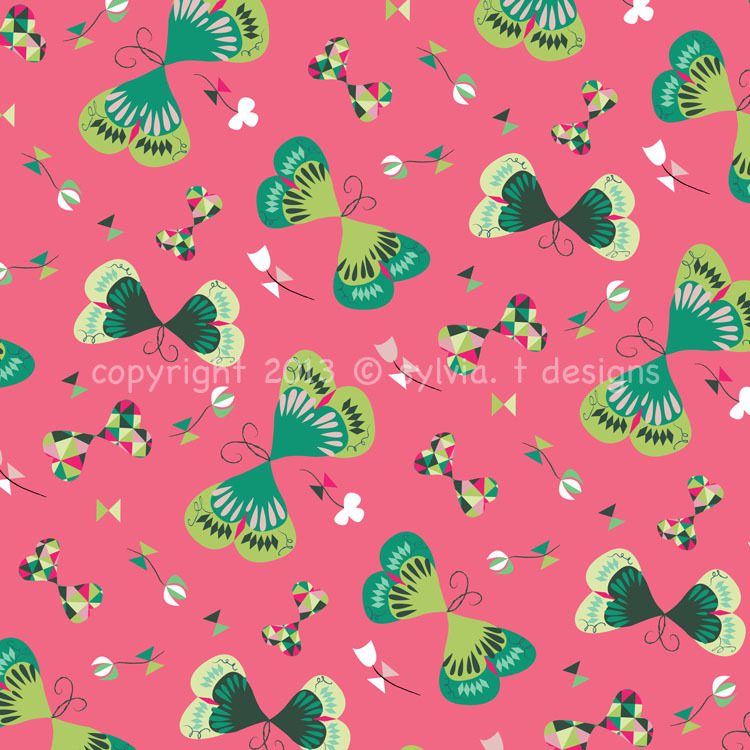 The top butterfly design with the pink grapefruit background just makes my heart sing! I am so inspired by your work and have enjoyed watching your collections grow and take flight! Best wishes to you on your creative journey!! Great Pinterest board, wonderful foundation for your design. Beautiful collection! Gorgeous color combos, love that pink background and your dancing, twirling butterflies are just beautiful. The triangle/diamond pattern flowers with wings are so nice too. Happy New Year and many thanks for your help with my site, your sweet comments, and for checking things out for me from so far away! Simply gorgeous! I love the color combination in the first one. Really lovely work! Best wishes for 2013 to you! ← Let’s fly, 10 Jan!